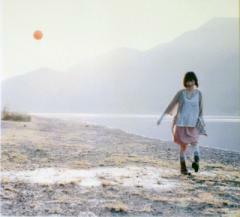 Re: New Kanno song "Aruko" with Iwasato, 9th album "Follow Me Up"
While I can't get any of the Amazon samples to show up, it DOES appear that Waiting For The Rain played on Maaya's radio show on Bay FM recently. Only a day or so 'til the album hits! Yyrkoon70 wrote: You'll probably get it before me! Amazon hasn't shipped it yet, and I won't be at home to receive it anyway so I'll have it ship again the following day, hopefully Wednesday or Thursday. I don't get it. You live in Tokyo. Why don't you just go to a store and buy it there? Just because I'm quite busy during the week with my work and personal activities so it's not easy to find one hour to go to a store before the store actually closes. Have you listened to the Amazon 30 seconds sample (which seems to be taken from the middle of a verse so that doesn't necessarily mean the song will be bad) or to the full song (I haven't yet)? BluWacky wrote: While I can't get any of the Amazon samples to show up, it DOES appear that Waiting For The Rain played on Maaya's radio show on Bay FM recently. I'm the same when it comes to shopping. Buying stuff online is so much more convenient than having to drive to the store, find parking, get in line to pay, etc. Amazon is great here in US, and I pay for Prime membership and can often get same day delivery (order in morning, delivery by evening). Yep, my copy was waiting for me in my mailbox. Instead of complaining right away, I'll give a review in a week, that'll give me some time to think again about those new songs. After a few days of listening, I was actually reallllyyy hooked to the number 11 song. Little as I knew, for some reason it was psychedelic aka. mind suggesting type of song, perfect song to wake up to either late in the evenings after the warm summer, or late at night before going to bed. I actually didn't know what song number 11 was, Yuho's writings.. so far both songs, in the album that I liked is from the same song writer haha (most probably not only me is hooked to it). Something interesting, for some reason this time I didn't really bother to translate the lyrics, rather just accepting it as how it is. Even if I dont understand it, the feelings itself is good enough for me. My opinion on the other songs, especially on the new hipsterish ones are still the same. Best songs to listen during idle time, or for work or drawing time when you just want to be alone for various reasons. Last edited by Imurann on 2015-10-04 11:49, edited 1 time in total. If someone would be kind enough to give a summary of this interview, it would be very helpful, it seems she does this album in a hurry, what happened ? I got my copy today finally. See why I question the choice to buy online? I could've gotten it a couple days earlier had the customs not held it for ransom but just a couple days. - "Waiting for the rain" is hands down my favourite new track off the album. It's a beautiful track which showcases Maaya's beautiful vocals I am liking Rasmus more and more - please collaborate with Maaya again, Rasmus, lol. - "Aruko" was initially a letdown for me; I had high expectations from it. 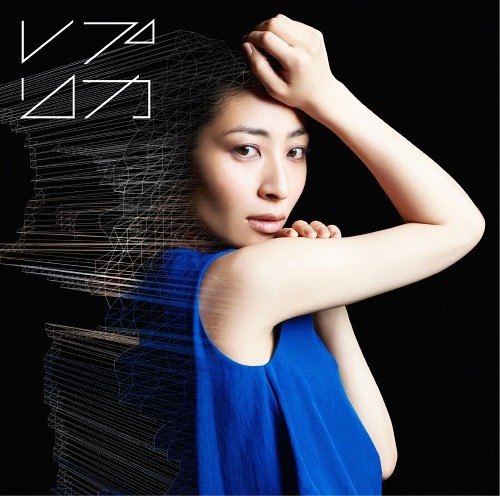 After listening to it for almost a week now, I've warmed up to it and really liked some parts of it (favorite is the bridge before the chorus where Maaya's voice sounds so ethereal and beautiful). Aside from my expectations, I think this song ties with "Sanagi" with me. I would say it's good but not great. - "Sanagi" was a pleasant surprise. Sounds a lot like some of school food punishment songs, and personally I love it! I think this is actually my second favorite new track, tied with "Aruko" on my imaginary scale. - "FOLLOW ME" is my next favorite! Such a cute and happy tune which I will forever associate with sunny days in the park. - I liked "Road Movie" quite a bit as well, especially love the chorus! - "Kasukana Melody" indeed sounds like a cafe song, which is not a bad thing. A very laidback song. - Both "That is to Say" and "Iris" are forgettable for me, unfortunately. I didn't expect much from That is to Say since I haven't really liked the rest of h-wonder's song for Maaya. "Iris" is pleasant, but I don't see myself repeating the track all that much. For those of you who can't get enough of Waiting in the Rain enough, here's the TV version from Asterisk War. From what I've read on the show, it sounds fairly mediocre. This song might be the best part of the anime hehe. Aruko was quite the ride.... especially along the 2:47 to 3:45, when Kanno-san's signature composition coming in. there can't be others. But the other part seem less powerful, it's not like "dramatic peak" in Light of Love style (which is almost unmatched, i believe). But it's a magnificent tune, nothing less. I believe i need more time to entirely digesting the whole idea. And the transition to Korekara, at first time it feels like Aruko and Korekara is related with Korekara is the closing theme (or an extension to Aruko). In reality, it's from different anime. Just the Transition factor lol. I've just heard the album one or twice and skipping things, so will comment again later after listening the whole thing. All in all, the transition between songs sounds great. The "techno-ish" feeling keeps attached every song. Ok I listened to the album the second time (been too busy to listen to it since Thursday) and when I got to Kore Kara it just hit me that this album is amazing. And the best part about that was that I hadn't even reached Waiting for the rain which left me with my mouth open the first time I listened to it. I salute you Rasmus! Aruko has some great moments like the start of the chorus 'arigatou utsukushii hito yo anata to iu ashita ni' but otherwise nothing too amazing. Sanagi is all around enjoyable above average nice song without anything that I could point out in itself. Probably not as memorable as Aruko but better all around. Then there are the solid songs I liked, Road movie, That is to say and Kasuka na melody. Just solid songs that I can't say anything bad about. So what we have left are Follow me and Iris. Follow me is probably something that'll grow on me and I'll bob my head when it's playing but at the moment it just doesn't do much for me. Iris is probably, no, I'm pretty sure it's the worst on the album. I just couldn't make out a coherent melody in the song. It sounds like just words and notes after another. Maybe I'll figure it out someday but I doubt it'll get much better. It also sounds a bit like Kore Kara at some point but just a much much worse version of it. I'd like to also say that Kore Kara is amazing. To me it's kind of like a new song since now I've heard the studio version only twice. Aaaand that SAVED is the best song on the whole album. jason wrote: For those of you who can't get enough of Waiting in the Rain enough, here's the TV version from Asterisk War. From what I've read on the show, it sounds fairly mediocre. This song might be the best part of the anime hehe.